Engineering and design students will come together to tackle real-world problems at the Interior Design & Engineering Affiliation (I.D.E.A) competition this weekend. On Oct. 8, about 145 students will combine their skills to create a solution to a health care problem in the form of a floorplan and virtual prototype. The exact problem will be kept under wraps until the day of the competition. Sidrah Noor, a biomedical engineering student, chair of I.D.E.A. and president of the student group Cranial Nerves, said the competition will teach students collaboration and professional development. “In the real world we’re going to be working together so we should start now and we should solve problems that really make a difference,” said Noor. The students will be judged by industry professionals and the top student teams will receive cash prices of $1,000, $750 and $500. Last year’s design problem was accessibility and led to the redesigning of Ryerson’s Recreation and Athletics Centre to better accommodate wheelchairs. 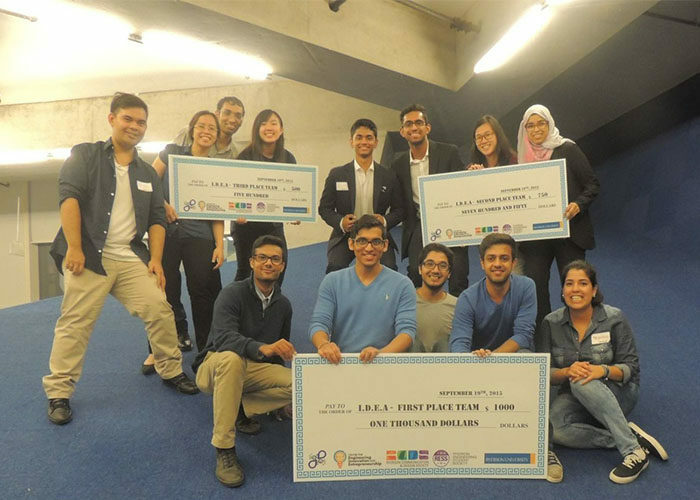 The competition will be hosted by Cranial Nerves, the Ryerson Communication and Design Society, the Engineering Student Society and the Centre of Engineering Innovation and Entrepreneurship.